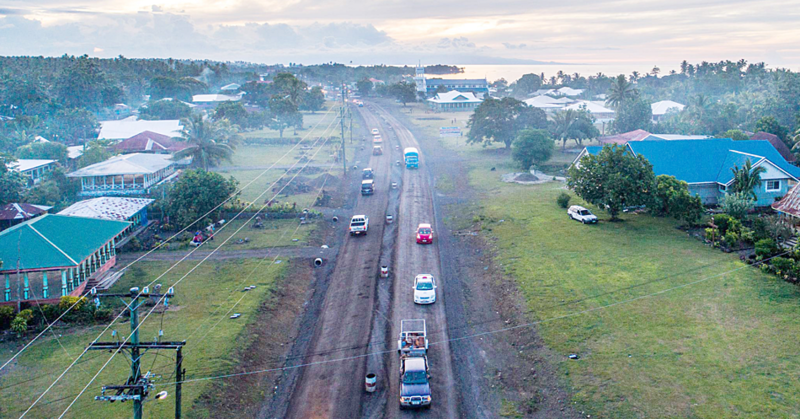 The Samoa Law Reform Commission has disputed claims that Section 32 of the Land Titles Registration Act 2008 will alienate customary lands. The Commission makes the point in a statement issued by the Press Secretary. “It is argued by some that section 32 of the Land Titles Registration Act 2008 will alienate customary land,” the statement reads. a) A reading of subsection 1 shows that the whole of section 32 refers to a registered proprietor of an estate or interest in land recorded in a folio in the register, and the estate this registered proprietor may hold and own, and how such ownership is paramount. Subsections (2), (3) and (4) all flow from subsection (1). b) It is irrelevant to discuss all subsections as what is pertinent to note is that ‘the registered proprietor’ and ‘land’ the whole section talks about does not apply to customary landownership, nor to customary land. Thus, to say that section 32 alienates customary land, is utterly baseless. The following five reasons support why. Again, section 9(4) is clear in prohibiting the alienation of customary land. It says: “No provision of this Act may be construed or applied to alienate customary land. This legislative rule in section 9(4) means exactly that - None of the 98 provisions of the L.T.R. Act, inclusive of section 32, can alienate customary land. Statutory interpretation (read the section in the context of the whole Act, not just one section on its own) show there is no other reading contrary to this. It is expressly stated, and there is no exception to the rule. It doesn’t say – Except for section 32, no provision in this Act may be applied to allow the alienation of customary land. No, it clearly says – No provision in this Act, and this is inclusive of s32, and all of the 98 sections of the L.T.R. Act. Reason 2 – The Constitutional definition of ‘customary land’ in Article 101(2) makes customary land incapable of having a ‘registered proprietor’ owner. 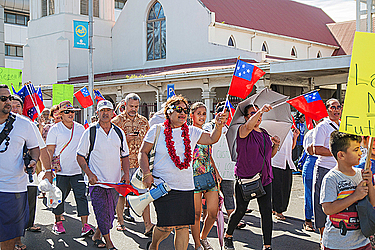 a) Article 101(2) of the Constitution says: “Customary land means land held from Samoa in accordance with Samoan custom and usage and with the law relating to Samoan custom and usage.” This constitutional definition of ‘customary land’ makes customary land incapable of having registered proprietor owner. b) An application or interpretation otherwise different from Article 101(2) is a breach of the Constitution and subjects such application to a Constitutional challenge. Reason 3 – A “registered proprietor” under section 32 does not apply to ‘customary land’. 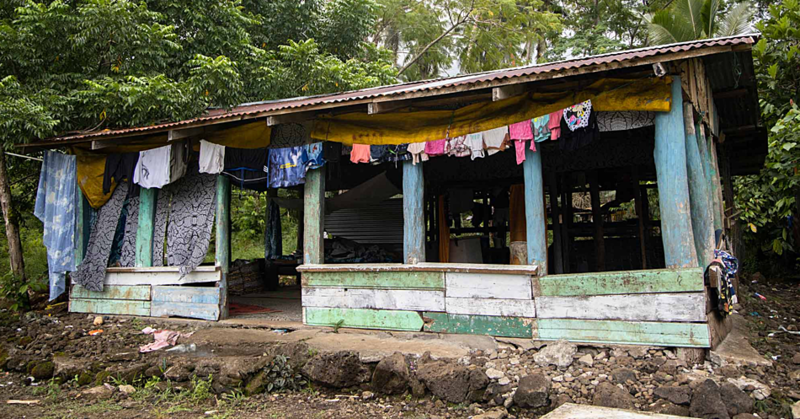 There is no such thing as a ‘registered proprietor’ of customary land. Please don’t force this into the Act when it is clear it does not apply, the use of just a bit of common sense would tell us that. a) A registered proprietor in property law is “the person or organization whose name appears on the official records of the Land Registry as the owner of particular land or property. (Cambridge Business English Dictionary). c) Section 2 Interpretation section says - ‘land’ includes all estates and interests, whether freehold or chattel …. but does not include customary land for the purpose of registration of land under this Act (other than registration of licences or leases of customary land). d) Therefore ‘registered proprietor’ of land does not include customary land for the purposes of registration of land under this Act. e) What is recorded/registered in the official records in the Land Registry is the customary land lease, and not ‘proprietors’ or owners of customary land. The Act is clear on this. Reason 4 – “Land” relating to a “registered proprietor” in section 32 does not apply to customary land. c) Section 2 Interpretation section also says - ‘Land’ includes all estates and interests, whether freehold or chattel …. but does not include customary land for the purpose of registration of land under this Act (other than registration of licences or leases of customary land). d) Thus the “land” of the ‘registered proprietor’ in section 32 does not apply to customary land. The whole of section 32 therefore does not apply to customary land. This includes all those 18 sections on “registered proprietors” (sections 11, 12, 13, 15, 32, 33, 34, 35, 40, 41, 60, 64, 65, 67, 68, 70, 76, 79), and other related sections. 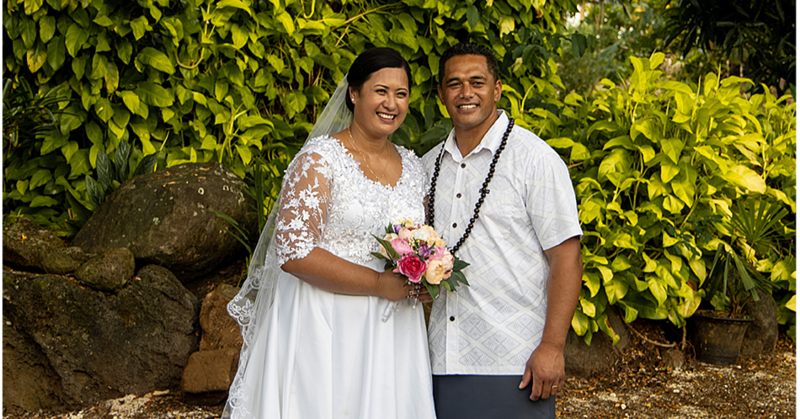 a) As customary land is communally owned ‘in accordance with Samoan custom and usage’, the term ‘registered proprietor’ does not apply to customary land. b) An overview of the Act shows that the term “registered proprietor” which only applies to freehold land and public land is mentioned 35 times in 18 sections (sections 11, 12, 13, 15, 32, 33, 34, 35, 40, 41, 60, 64, 65, 67, 68, 70, 76, 79). c) On the contrary, “customary land” is mentioned in only 3 sections (2,5,9). This shows this Act is substantially about freehold and public land, but not customary land. Thus it’s many provisions (x18) relating to and which mentions “registered proprietor” (mentioned 35 times) is only applicable to freehold land, and are not applicable to customary land. Section 32 is incapable of alienating customary land.